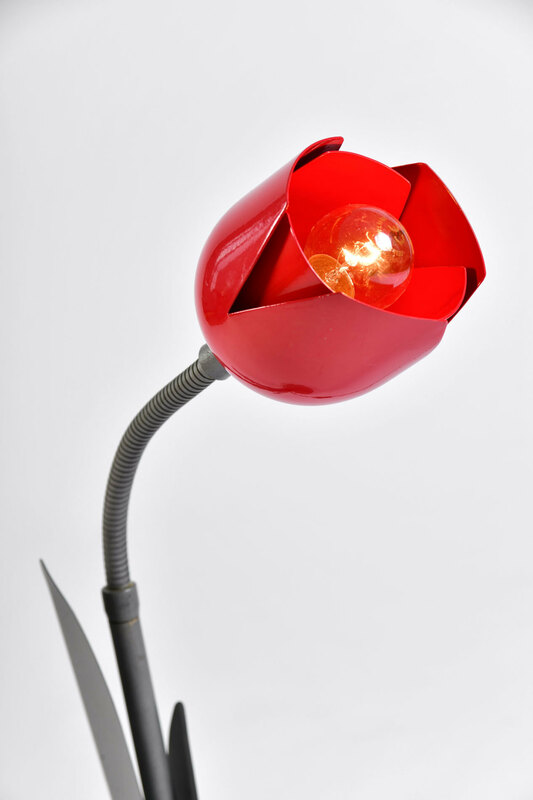 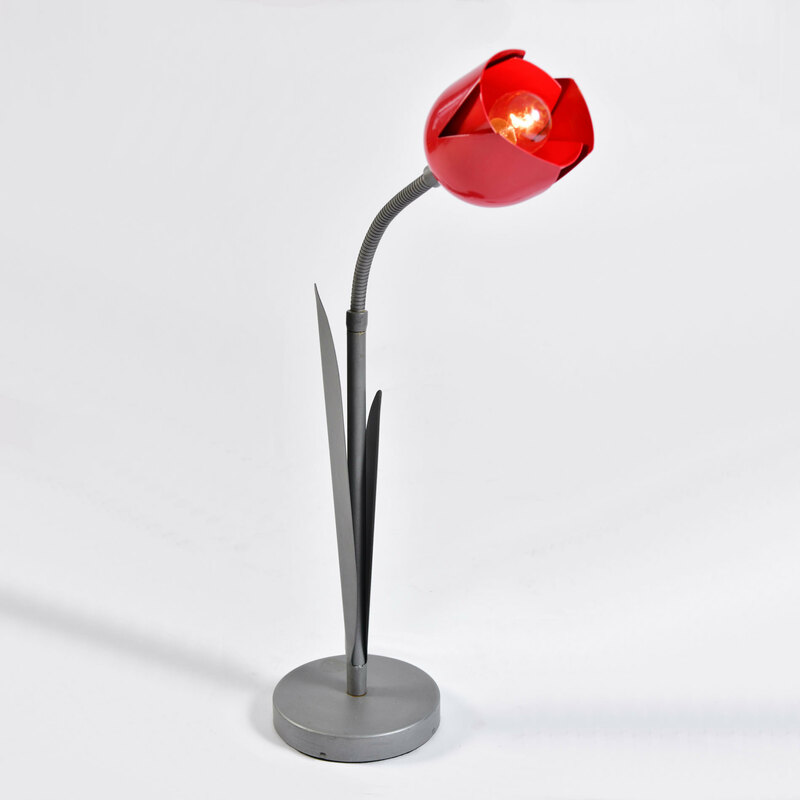 Fun tulip table lamp with fully flexible upper stem which allows the piece to be angled for directional light. 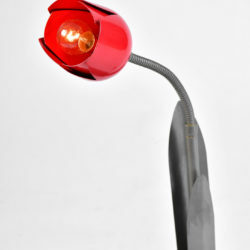 Enamel on metal. 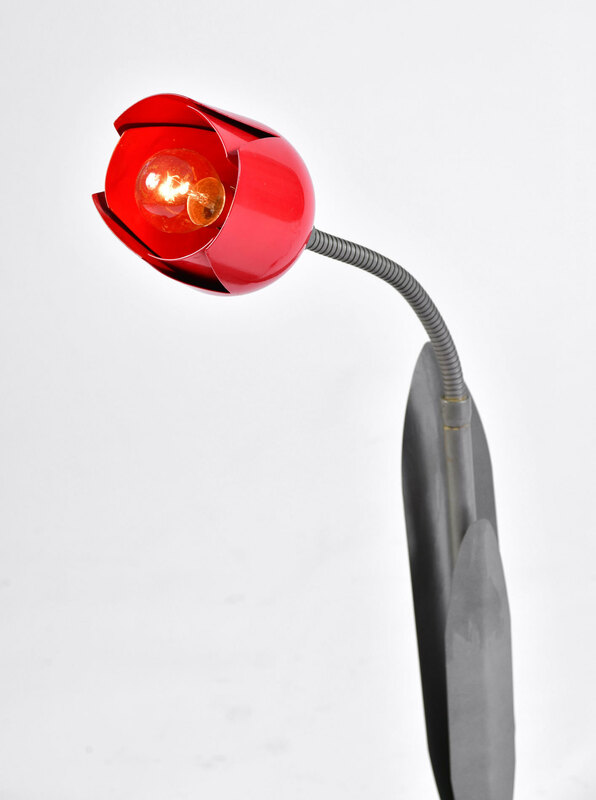 Designed by Peter Bliss in the 1980s. 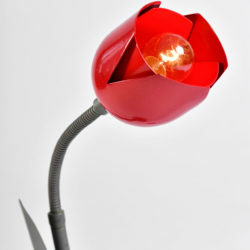 See also LT975 for two daffodil lamps also by Peter Bliss.